Pack an emergency food stash with a few of these healthy snacks to keep you fuelled and full of energy throughout the day, and then replenish your stocks as needed during your trip. Nuts are pretty much the perfect travel snack. They are calorically dense, meaning they'll fill you up quickly, but they're also nutritionally dense, offering plenty of protein, healthy fats and a variety of vitamins and minerals. They'll keep for ages without going bad, and they are sold just about everywhere. To keep this snack as healthy as possible, try to eat a variety of raw, unsalted tree nuts. Travellers have been relying on dried fruit for centuries – in days of old they were one of the main forms of sustenance for caravans of pilgrims and merchants travelling around the Middle East and along the Silk Route. Dates might look like wrinkly cockroaches, but they taste like nature's candy. Like nuts, they are high in both nutrients and calories, but this can be a good thing when you're on the road and are not sure where your next meal is coming from. OK, so this is basically No. 1 and No. 2 above rolled into one. And there's a reason it's called trail mix – hikers and other outdoor enthusiasts figured out long ago that a mixture of nuts, seeds and dried fruit is excellent fuel for long treks, whether you're climbing a snowy mountain, winding your way through a narrow gorge or just schlepping across town in search of the bus station. You can buy a ready-made mix or create your own with your favourite ingredients (my personal favourite is raw cashews, pepitas and dried cranberries). This is probably the most common fallback plan among newbie vegan travellers, who have been known to stuff up to 30 Larabars in their luggage “just in case”. Let me assure you that this is NOT necessary. Odds are, your trip will be full of delicious culinary adventures, and you certainly won't be dining on energy bars while sitting alone in your hotel room every night. Even so, it's good to have a couple on hand, just for emergencies and peace of mind. Unless you really are trekking across the desert in search of the next caravanserai, there's no reason to limit yourself to foods with a long shelf life. If your emergency stash is getting low, it's easy to replenish by grabbing some fresh fruit along the way. While it's true that some fruits don't make good travel companions (I'm looking at you, mushy banana in the bottom of my bag), others like apples, oranges and even grapes will travel surprisingly well for a few days. Of course, in places like South America or Southeast Asia, discovering the local fruits is likely to be a highlight of your trip in and of itself. Helloooooo jackfruit! And since we're talking about fresh produce, why not grab some veggies at the local market while you're at it? Cherry tomatoes make convenient snacks, but who says regular-sized tomatoes can't be a hand fruit? Cucumbers, zucchini, carrots and bell peppers are also great for munching on. 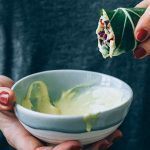 If you're not into raw vegetables on their own, look for a vegan sauce or dip you can dunk them in, like hummus, mustard, tahini or peanut butter (see healthy snack No. 7 below). Peanut butter (or any other nut butter) makes a delicious spread to liven up an otherwise boring sandwich, cracker, or even a big bowl of steamed or raw vegetables. If you're worried about adding too much weight to your luggage, try bringing a jar of powdered peanut butter instead, like PB2 or Just Great Stuff. While the powdered version is not exactly a whole food, its light weight and long shelf life make it perfect for travel. If you want to make a peanut sauce to drizzle over veggies (or any other dish), just add a little extra water. Best of all, since it's not a liquid or paste, you can even pack it in your hand luggage when flying. Embrace your inner hippie by snacking on a few handfuls of crunchy granola. In order to keep it healthy, though, look for one with little added sugar or oil (or just make your own). Better yet, opt instead for granola's healthier cousin, muesli. Both are made from oats and a mix of dried fruits and nuts; the only difference is that the oats in muesli are raw, not baked. You can eat it dry by the handful or, for a more civilized breakfast to start your day, bring along some powdered soy or coconut milk (available in health food stores and Asian grocery stores). And if it's a civilized breakfast you want, why stop at muesli when you can have a hearty bowl of oatmeal? This is surprisingly easy to make even without a stove, microwave or refrigerator. Just prepare your oats the night before by soaking them in the liquid of your choice (powdered soy milk, fruit juice, an herbal or fruity tea, etc.). If you only have water, this will work too, but I recommend mixing it with mashed fruit, such as banana or kiwi, to add more flavour to every bite of oats. Top this with more fruit, nuts, nut butter or whatever else you fancy. For those moments when you really feel like rewarding yourself with a sweet treat, dark chocolate to the rescue! Packed with antioxidants, chocolate truly can be a health food, as long as it's not packaged in a ton of sugar and cow's milk. Aim for at least 70% cacao, but the higher the better. And check the ingredients list to make sure it's vegan – some manufacturers cut costs by substituting butterfat for some of the cocoa butter. Have you ever had trouble finding something to eat while travelling? What's your favourite healthy travel snack? Leave a comment below and let us know! Wendy is an intrepid traveller, vegan foodie and polyglot. Having become vegan after many years of travel across 7 continents and nearly 100 countries, she's now on a mission to show the world how fun and fulfilling vegan travel can be. 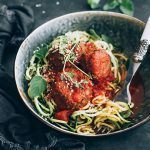 For more tips on finding healthy, plant-based food while travelling, download her free mini ebook, "8 Steps for Fun and Easy Vegan Travel" . You can also follow her on Twitter and Facebook.